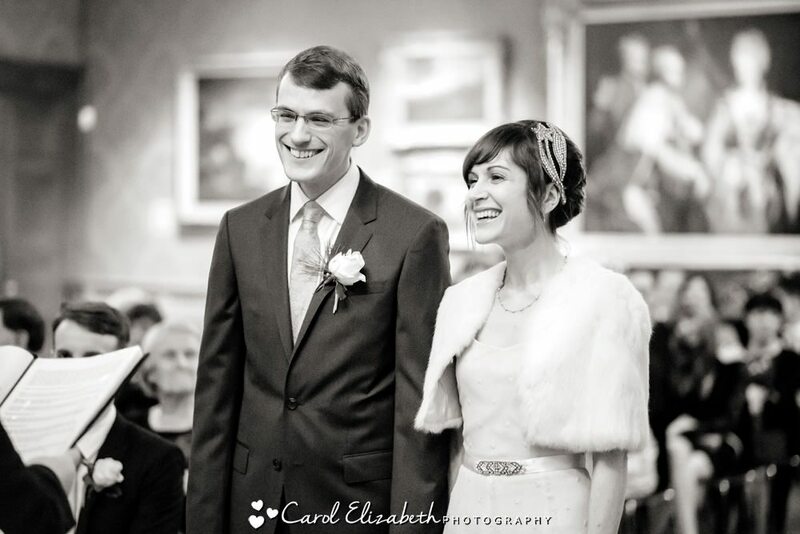 I love to photograph small and intimate weddings, and there’s always a magical feel at Christmas weddings! 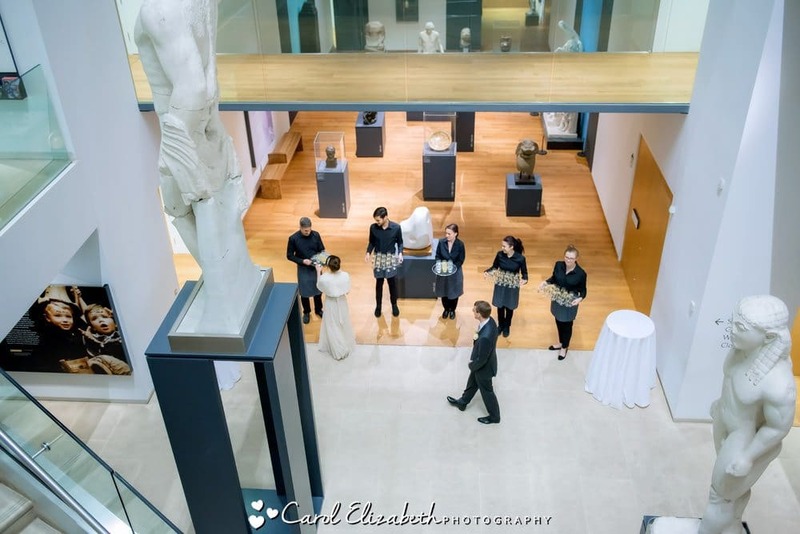 So I was delighted to be asked to provide Erin and Rob’s Christmas wedding photography at The Ashmolean Museum in Oxford. 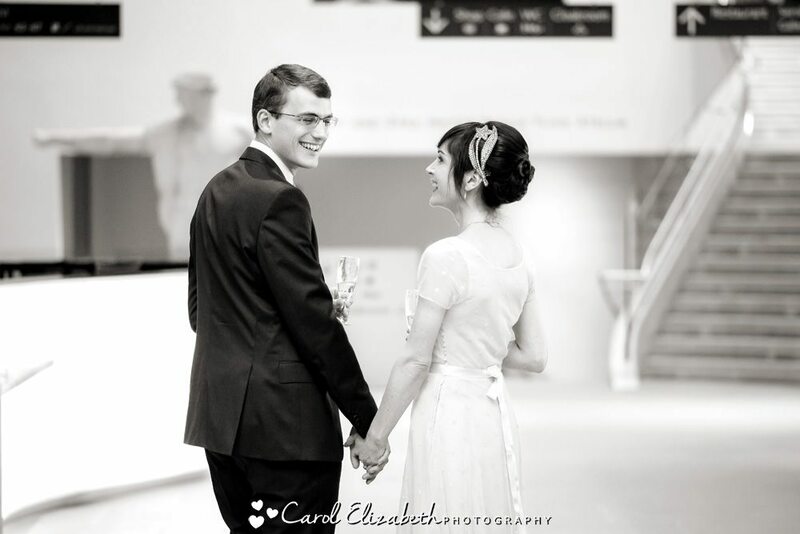 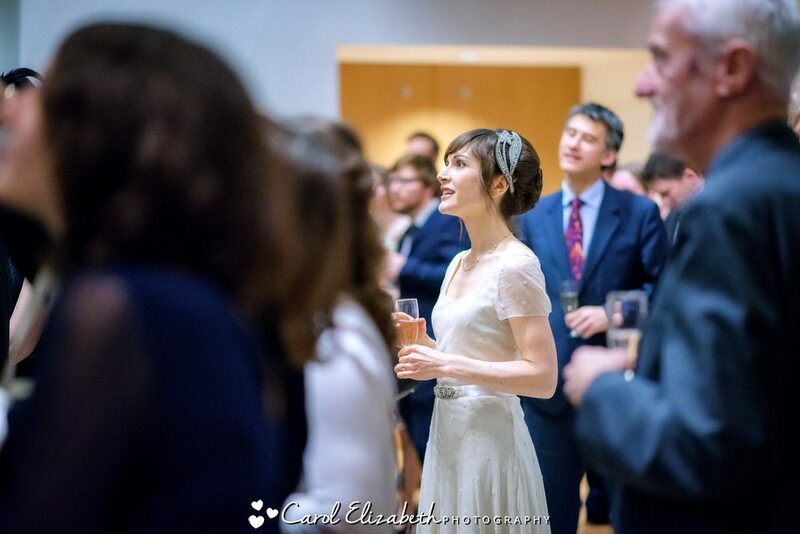 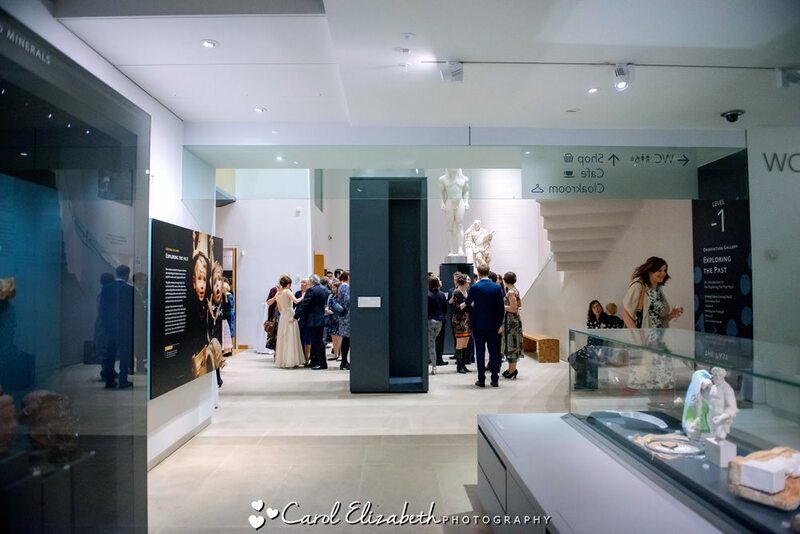 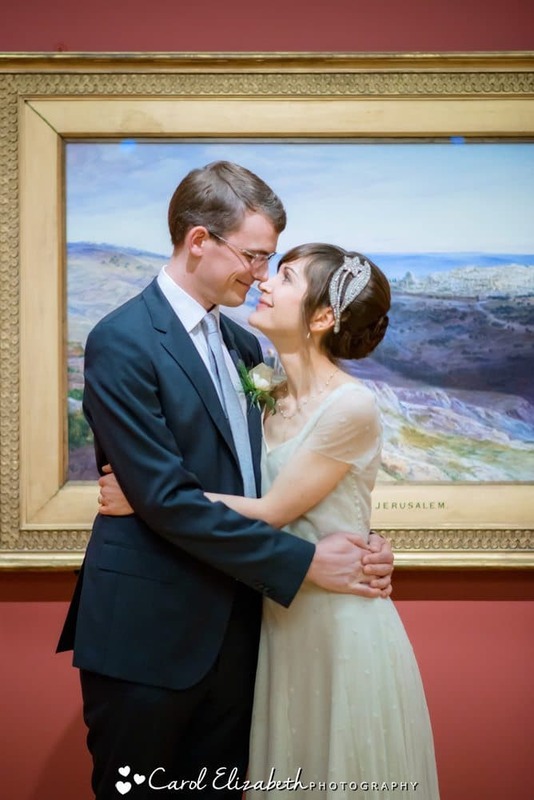 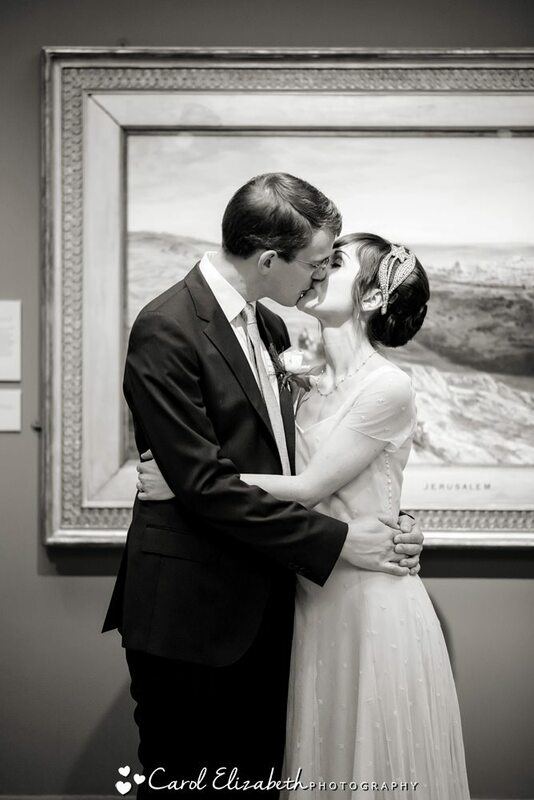 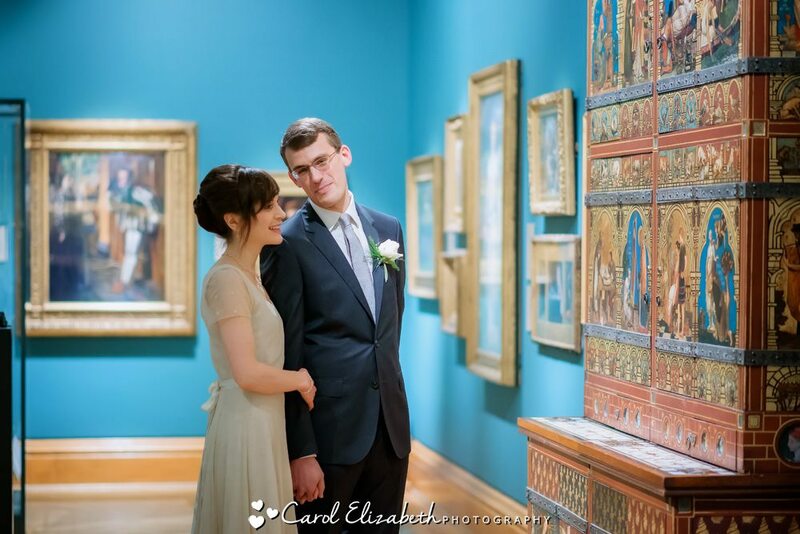 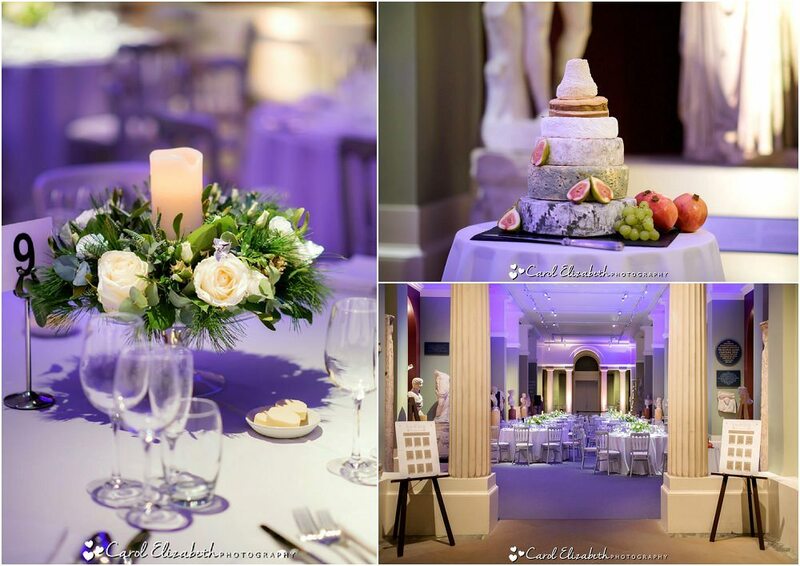 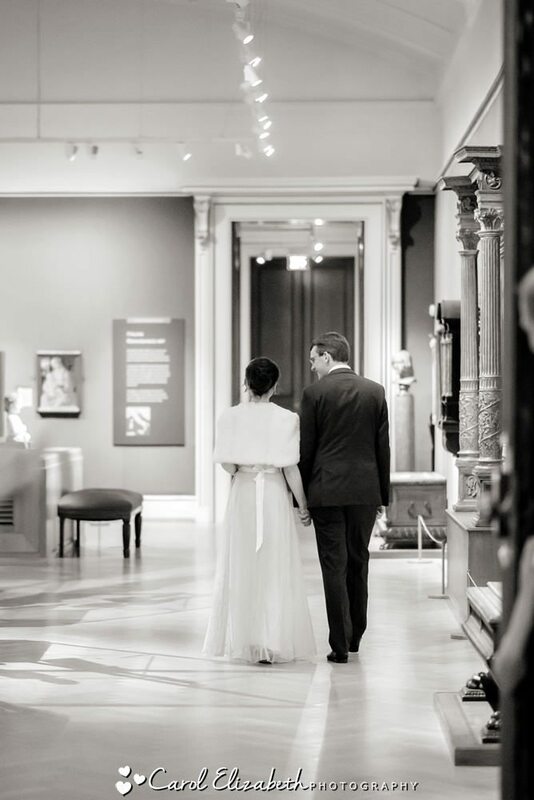 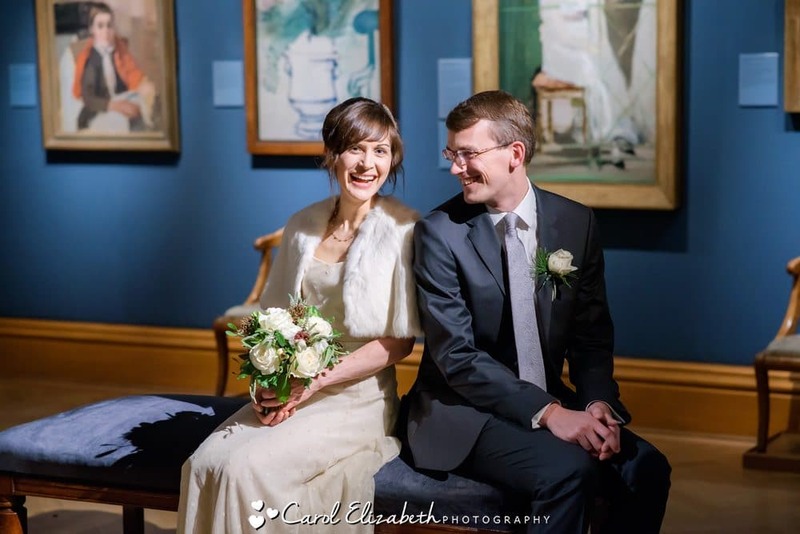 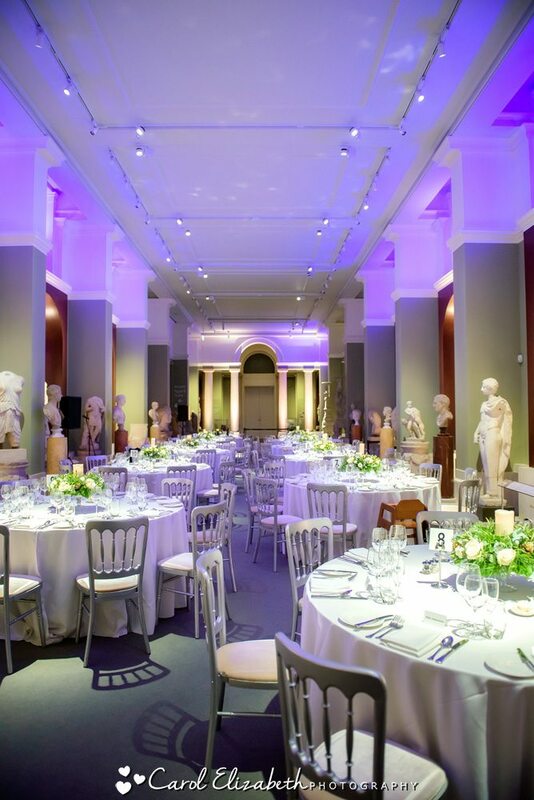 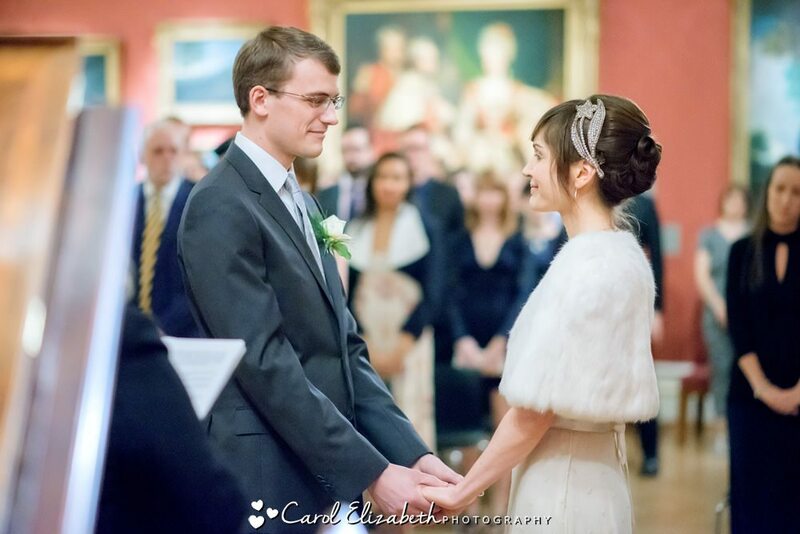 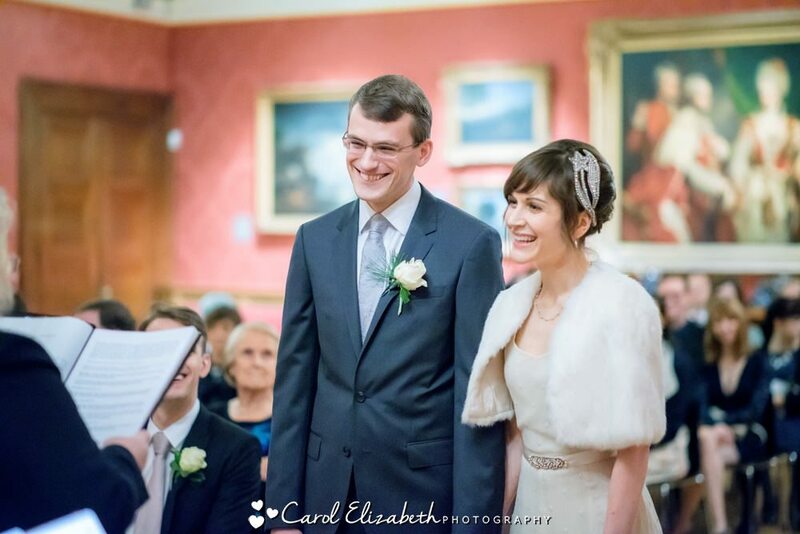 Due to the public having access until closing time, the wedding ceremonies at The Ashmolean Museum are in the evening. 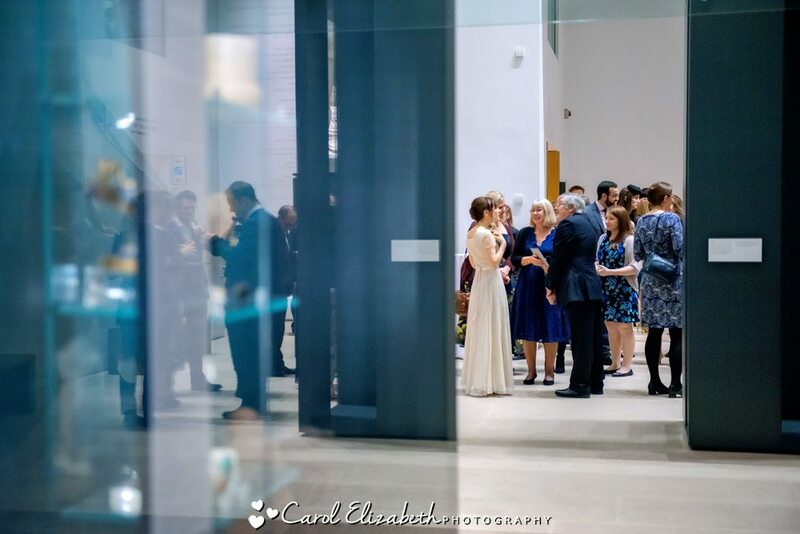 We therefore photographed a few of the group photos before the ceremony, and a few after, just to allow plenty of time for celebrations! 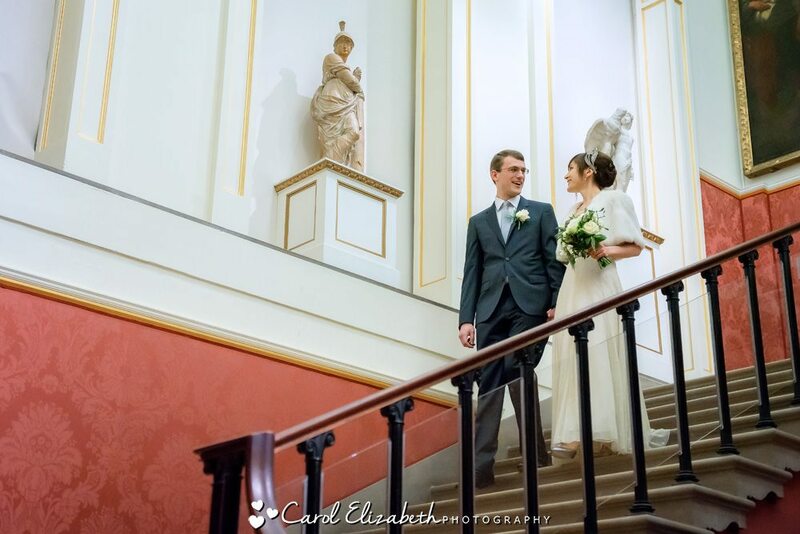 Erin and Rob entered the room together down the beautiful sweeping staircase to The Mallett Gallery – definitely one of the most impressive wedding entrances ever! 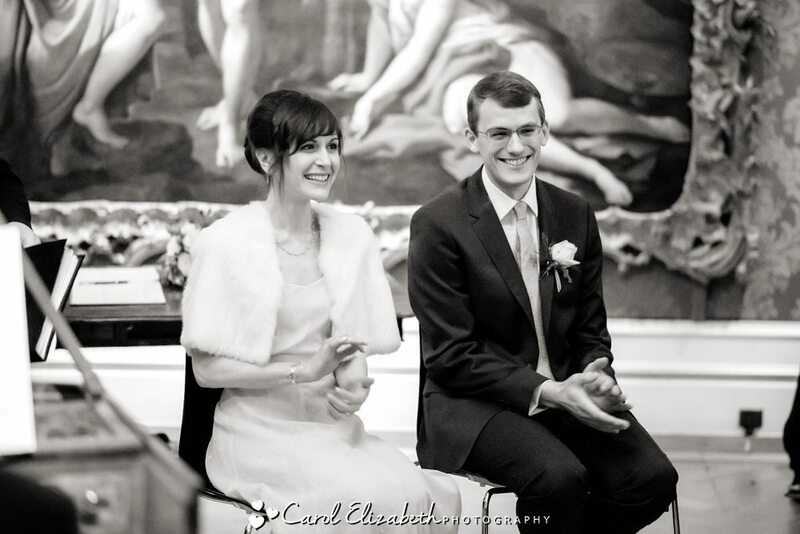 The ceremony itself was light-hearted and fun, and the guests enjoyed it immensely! 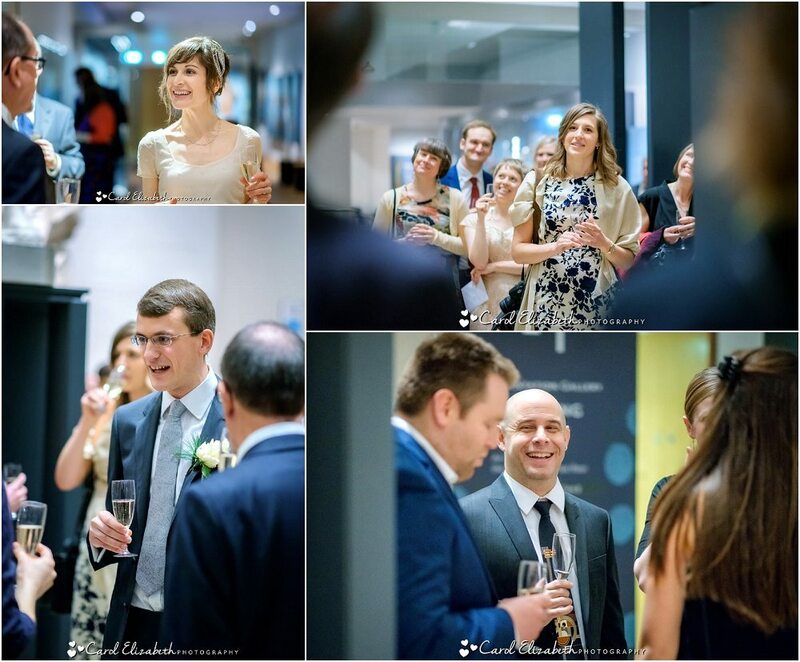 It was then time for the drinks reception and speeches in The Atrium. 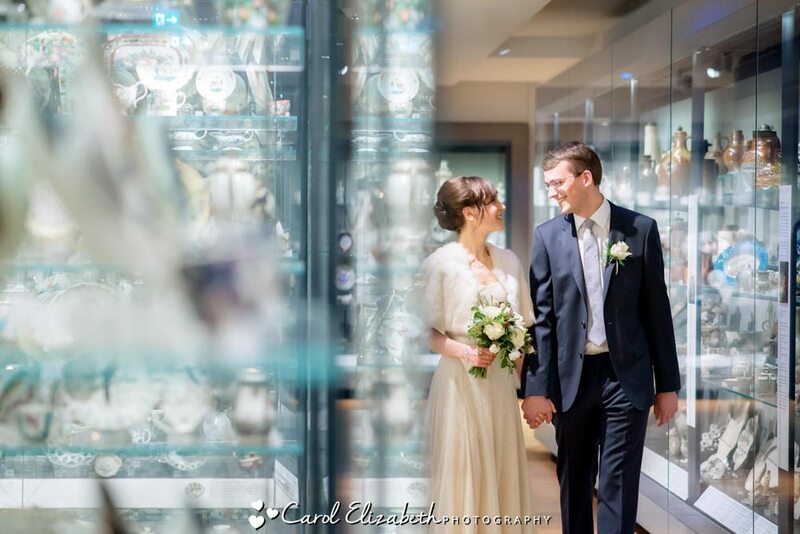 We also took a few more photos around the museum, which offers a unique setting and is really a wonderful wedding venue. 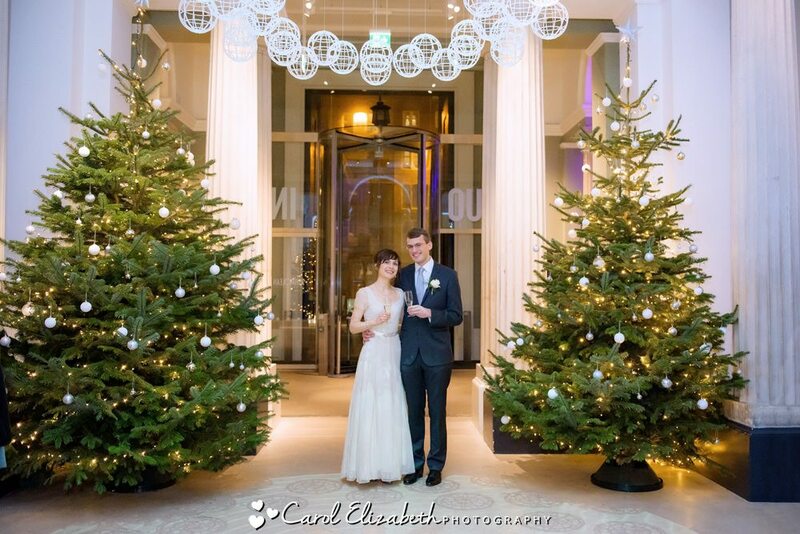 The Christmas trees were beautifully decorated at the entrance and we enjoyed a few moments for photography before joining the guests again. 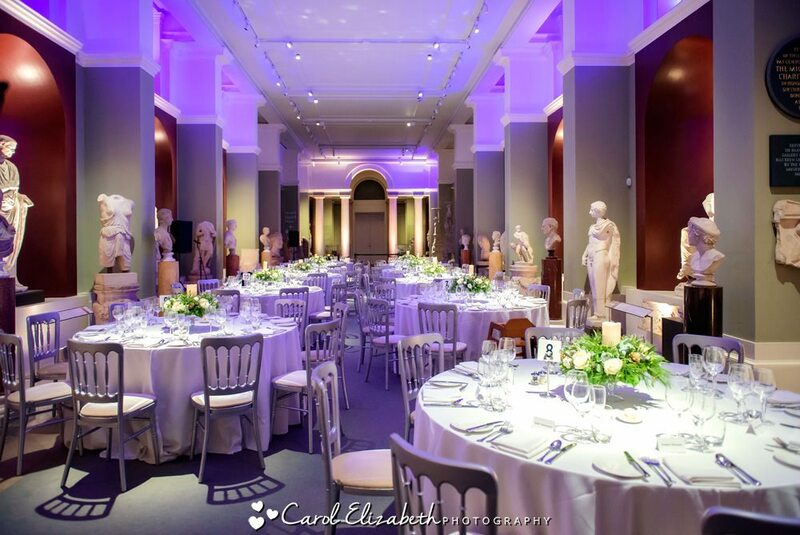 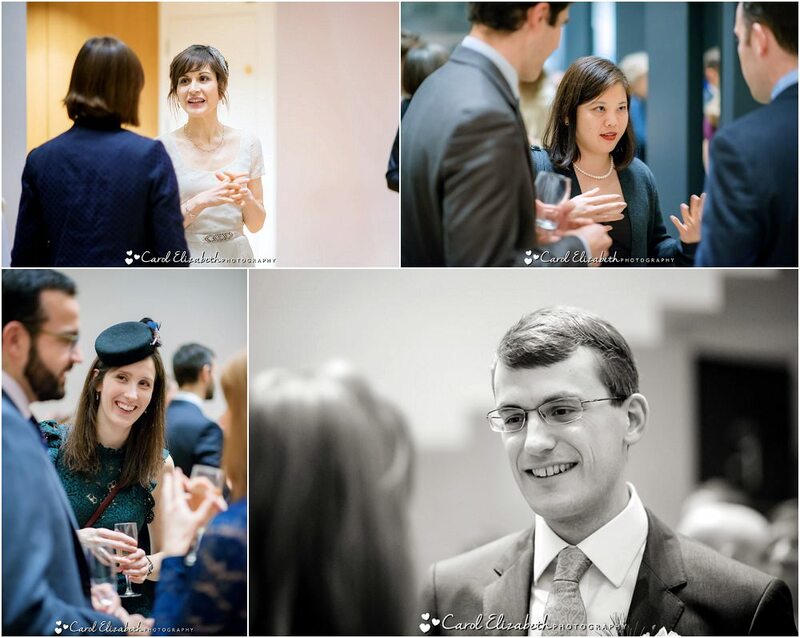 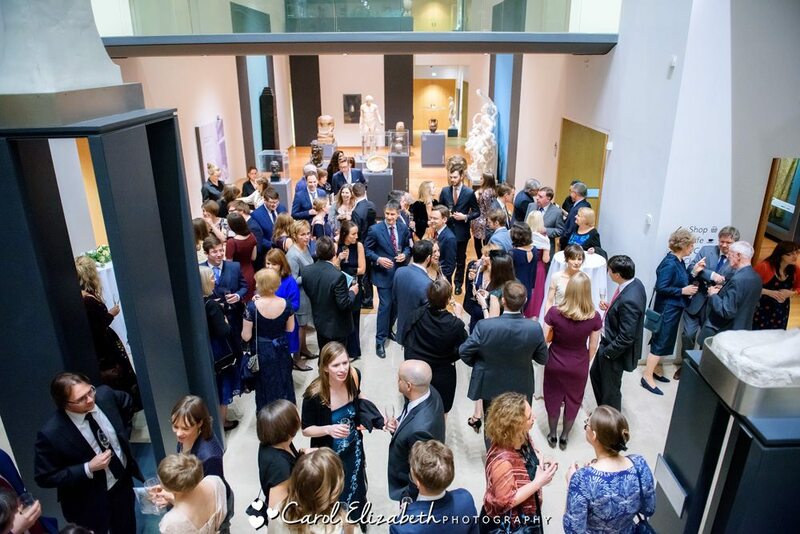 The wedding reception was held in The Randolph Sculpture Gallery, a fascinating room with trendy lighting and plenty of interesting artwork. 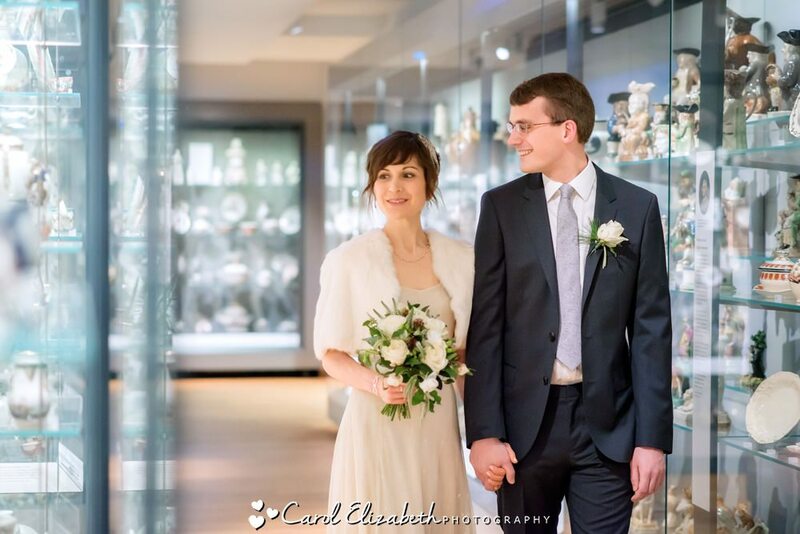 If you are interested in speaking to me about your wedding photography at The Ashmolean then please don’t hesitate to get in touch!